Who is Vicente L. Peralta? The late Cong. Vicente Peralta (1914-1968). He was a member of the Philippine Congress from 1954 to 1968.
parents. I really wanted to write about him so that fellow Sorsoganons will remember that there were politicians then who really worked for their people. Thus, this article has been sitting on my draft folder for more than 5 months, trying to sort out what content I could add. Plus the fact that there’s very few materials in the net. For most, Vicente Peralta Sr. is the street that cuts across Rizal Street from Brgy. Talisay going to Burabod Taas. For some, Vicente Peralta was known as an articulate speaker1, compared to the like of the late Sen. Arturo Tolentino2. Those who knew him as a political figure would speak highly of him, while admonishing the current lawmakers. According to my father, the late Peralta Sr., would sat down in the corner of Velasco (now Jane’s) Restaurant and would talk to ordinary folks, regardless of their social status. My paternal grandmother would nod easily when hearing the name of the late congressman, reflecting good governance during the latter’s political term. Upon searching from Google, I found a hospital in Castilla, Sorsogon, named after late Vicente Peralta Sr. Along the way, I also found this forum about Sorsogon, which contains an inquiry from one of the daughters of the said late congressman. After sharing this information with the daughter of the late Peralta Sr., she told the me that the late congressman was close to Castilla because he got strong support from the said town. 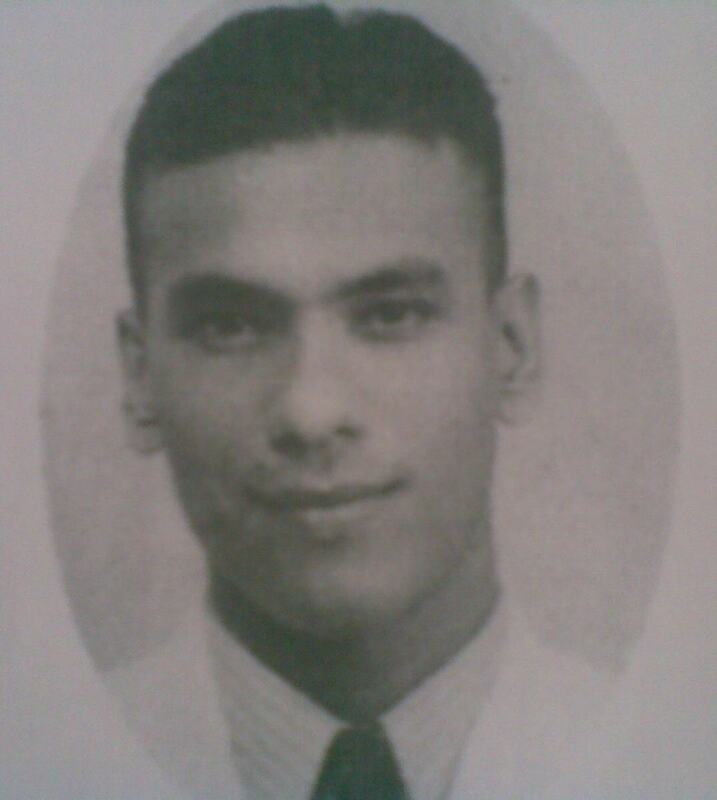 Then, I realized that my late lolo was a one-term mayor in Castilla, around late 40s to early 50s. My mom, after telling her about the this new information, told me that my lolo belonged to the same party as the late congressman and they were close friends back then. Interesting twist of events. Now I have more content to share to our dear readers. Watch for the series of articles on the late Congressman Vicente L. Peralta in the coming months. 3The portrait is published with the permission of Ernestina Peralta. This entry was posted in History, Personalities, Politics and tagged Bicolano, Burabod, Government, history, Sorsogon Personalities, talisay, Vicente Peralta. Bookmark the permalink. 20 Responses to Who is Vicente L. Peralta? I am glad that you found this site. Please do share them; I still have tons of backlog of research materials that I need to read and come up with articles. Are these in e-format? If you have stories to tell, please do share it as well. I am launching a series called, Orosipon. Basically, these are stories of Sorsoganons about anything. Let’s correspond via email. I will PM you later. The articles that i have about my grandfather are very old. I don’t think it would be that clear if I scan them. where can i mail it to you? I received the articles. Sorry it took me a while to respond. Most of it are different from the ones I received from your aunt. Thanks a lot. Btw, I will be publishing another article about your lolo over the weekend. I am sorry I haven’t released any new articles yet about your late lolo. I am dumped with tons of work, most probably I will start again around October. However, I am starting to compose drafts already, combining the research materials that you sent me and your aunt (I also got rare, awesome pix of your late lolo). to the writer, thank you for sharing this article part 1 and part 2 of sir vicente peralta, i heard about him from my late father and his friends so it was then a prvilege for me to know more about this man who inspired many people in sorsogon. such a huge information. Thank you. This is just the first of the series. I am just trying to find time to write. I wouldn’t have completed the two articles without the help of a couple of members of Peralta family. Stay tuned, may mga masunod pa tabi. I won’t be releasing articles soon due to my office activities. However, I got rare pictures of the late V. Peralta, I am sure you will be interested, too. I am just slowly composing the drafts. I am hoping it will be ready 2 months from now. Hello, my name is Geraldine Peralta Fructuoso, I am the daughter of Tina Peralta and the late Congressman Peralta was my grandfather. Unfortunately I was very small when he died so I never knew him but our family kept him alive with all the stories of him. He left an amazing legacy. I created a Facebook page, together with my cousin Franz Peralta Von Muhfeld – Congressman Vicente E. Peralta – you should have a look as we posted a lot of pictures and articles. For those that are waiting for the succeeding articles about the late congressman, stay tuned. Every Saturday, starting next week, of October, I am publishing related articles. Hello, I am one of three of Congressman Vicente Peralta’s daughters, I live here in Virginia, USA, My father was an awesome debater and politician. I was only 16 when he passed away and I witnessed the outpouring of support for him when he died. The streets of Sorsogon were impassable due to the thousands of people who came to lay him to rest. He was smart, and the most precious gift and legacy he left behind was his integrity. When he passed away, we were unlike most Philippine politician;s family—we were not left the wealth of money–but the wealth of his honesty and integrity. I can proudly say that whatever strength of character and honesty I have–it is because of the example my father left me. He was such a smart and caring politician that perhaps the politicians of today could learn from his life, his work, and his example. Glad that you found this article. My father, who was a teenager then, told me the same thing. Bagan dagat kuno sin mga nakidamay an prosisyun san lubong. I still have lots of articles here from your nephew and your sister. I am just neck deep into my work that I wasn’t able to continue putting it in the blog. But I will… In due time… I owe it to the new generations who should be aware that back in the days, we had a politician that truly cared about the people. I am Grace Peralta and our great grandparents where actually from Sorsogon. I am actually doing a research regarding our family genealogy. I was actually informed by my Lola Tess that we are actually related to Cong. Vicente Peralta. My great grandfather is Gregorio Paterno Peralta Sr., and is married to Milagros De Lara Idian. Can you please send me the e-mail address of Ms. Tina Peralta? And also can you please give me possible guides,references or offices where I can get results for my research. Thanks! Hope to here from you soon. Hi Grace, let me shoot a separate email to Ms. Tina in case she missed your message. Tina acknowledged my email and will get back to you. The late Sen. Jovy Salonga (Liberal) had a famous debate with Mr. Peralta of Sorsogon (Nacionalista) on the Proportional Representation of Political Parties in 1962. A transcript of the debate can be found in Salonga’s The Intangibles That Make a Nation Great (2003). Great read!